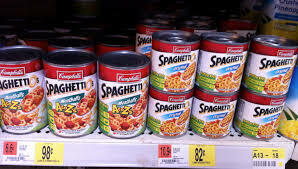 The latest national voluntary recall has been issued by Campbell Soup Co. for SpaghettiOs, a canned pasta and sauce product. The company recalled 355,000 of these cans due to possible choking danger. On November 12, Campbell made an announcement admitting to small red pieces of plastic found in a number of the cans. 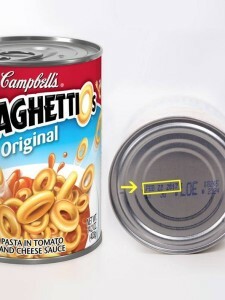 Campbell added that the plastic came from the inside of some of the cans and had peeled off into the product. The recall was triggered by calls from customers, all of whom had purchased defected cans. Campbell has been communicating with customers through their Facebook page. The recalled cans include 14.2 ounce SpaghettiOs Original with a date of Feb 22, 2017, and a UPC code of 51000 22432. They were shipped to vendors in 15 states. Campbell’s takes full responsibility for the incident, and they are encouraging customers affected by the recall to bring the faulty cans back to the store from which they were purchased and receive a full refund or exchange.